Rock Key Sanctuary Preservation Area (SPA) contains a concentration of important bank reef habitats within a small area and ranges in depth from five to 35 feet. Rock Key is one mile east of Sand Key Light. Rock Key SPA is typical of most reef formations in the area, with a rubble zone and long fingers of coral with sand and coral-filled canyons. 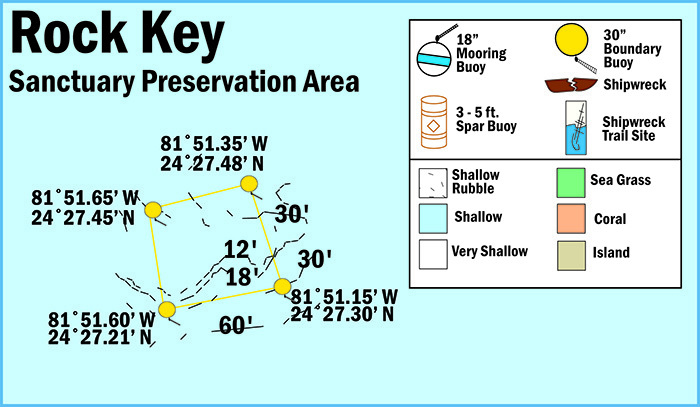 View a map showing the location of mooring buoys within Rock Key Sanctuary Preservation Area.